Social Security Disability Insurance is a federal government program intended to protect workers against the loss of ability to earn an income due to complete disability. It is compulsory that all employees and employers contribute to the program. Successfully applying for Social Security Disability (SSD) benefits can sometimes be a daunting task and more often than not you will be denied. It is imperative you have a clear understanding of your rights by contacting an experienced law, such as O’Donnell Law Offices. In order to be eligible for SSD benefits, you must demonstrate that you are unable to perform any work which you have previously performed. Additionally, you must have been gainfully employed and paid payroll taxes into the Social Security system for 20 of the preceding 40 quarters prior to your application for SSD benefits. If you do not qualify for SSD benefits because of insufficient credits (quarters), you may qualify for SSI benefits. SSI benefits have the same disability requirements as SSD benefits, but also have financial requirements for the applicant. Many times SSD or SSI benefits by the Social Security Administration are denied at its initial reviewing stage, and request for an administrative law to hear your case is necessary. During this hearing, you will be allowed to present evidence and testimony concerning your Social Security benefits claim. It is imperative to gather all medical records and be prepared for the Social Security Administration to hear testimony. It is essential that you consult a skilled and experienced lawyer as your benefits rest on the interpretation of a complicated set of regulations that govern the Social Security Administration. This brief outline only touches the surface of the complexities behind Social Security Disability and unfortunately, many claimants for disability benefits have experienced severe problems and hardship simply because the filing process takes so long. At O’Donnell Law Offices, we can help you with your claim for continuing and past due benefits, and will use our experience to help get you the Social Security benefits you need and deserve. Please schedule a free consultation with O’Donnell Law Offices today so we can further discuss your claim. There is no fee or costs until we win your case. 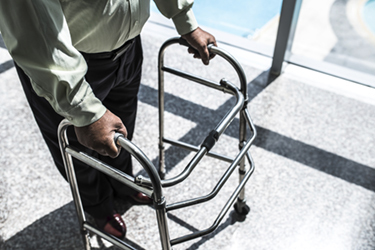 How do I obtain Social Security Disability?